The Latin American and Caribbean International Movers Association (LACMA) is an association comprised mainly of the finest Latin American and Caribbean international movers, as well as movers from around the world. 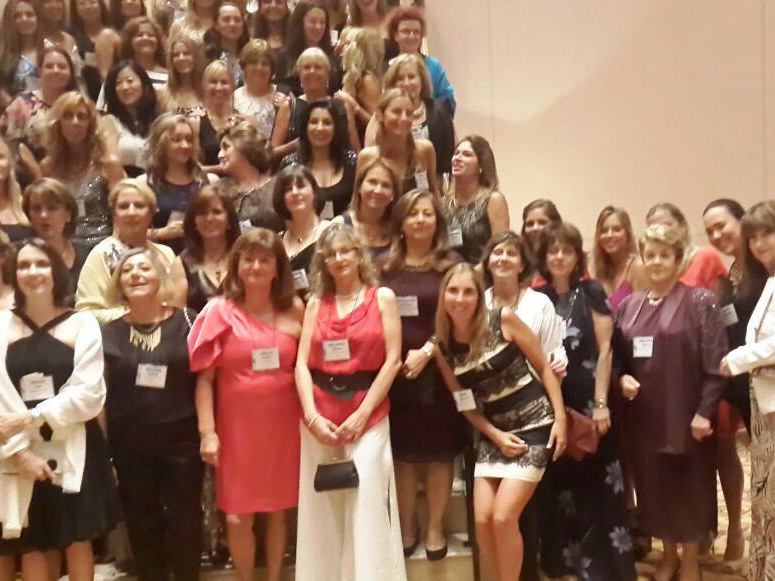 In February, after months of hard work and continued commitment, AGS Director Joëlle Castro, the Director of the Columbian company Portan, Paula Colmenares and the owner of the Marcela Balderas company, Marcela Balderas, have successfully introduced the first LACMA Ladies event in Punta del Este, Uruguay. The goal of the event was to not only gather a large number of women to allow them to share their vision of this beautiful industry, but also to raise funds for the Reaching U organisation – which aims to facilitate access to education for Uruguayan children. In addition to supporting an honourable cause, the participants made the most of this opportunity to meet and exchange between fellow women of the removals industry. US $4 060 was raised at the event in February. Marcela Balderas, LACMA Ladies’ treasurer, was able to gather all the funds and hand it over to Reaching U’s Manager, who was very impressed with the amount raised. The money is going towards implementing the ‘Ultreia Project’ at the San Adolfo school. This benefits 52 pupils in pre-school and 71 pupils in their 1st to 3rd year of primary school, as the project aims to improve the writing and reading skills at pre-school level and during the three first years of primary school. Joëlle Castro, Paula Colmenares and Marcela Balderas are very pleased with the outcome and wish to organize similar events in the near future. A total of 63 women took part in the first LACMA Ladies event, during which four groups were formed in order to debate topics linked to the question of ‘women in the workplace’. The guests then received an exclusive belly dance class by Diana Cuevas from the LACMA office. Her talent was acknowledged by everyone in the venue as she concluded the tutorial with a fantastic performance. The next LACMA convention will be hosted in Columbia. Given the success of this first LACMA Ladies, Joëlle Castro, Paula Colmenares and Marcela Balderas are determined to do even better in the next gathering!